Our clients can avail from us a qualitative range of MovableWetMixMacadamPlants. We design and fabricate these machines using quality raw materials and sophisticated machines in our state-of-the-art manufacturing unit. These are fabricated in compliance with the set industry standards and also offered in customized specifications as per the clients’ requirements. 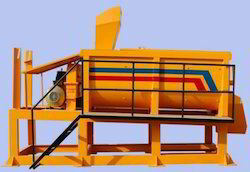 Looking for Movable Wet Mix Macadam Plant ?